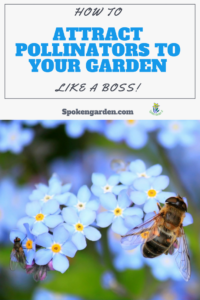 We're well into summer season now, your garden is in full swing, and you've checked several projects off your to-do list. Great job! However, we'd like to suggest just one more project for your list if you don't mind? It is time to create or enhance your outdoor entertaining space! No matter what size your yard or garden, you can create your amazing outdoor entertaining area to use the rest of the summer, fall, winter, and beyond! Picture your guests congregating around a firepit in your backyard, or dining under the stars on your balcony. What about hosting an outdoor party to show off your herb garden or garden fountains? 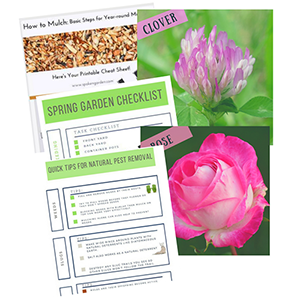 Whether you have a full backyard, a balcony or patio garden, learn how to treat your guests or even just your family (or yourself) to a fantastic garden-inspired event with our 7 DIY ideas below. Pick one of our ideas or create all of them! The sky and your creativity are the limits! Our suggestions below can easily suit a party of 1 to 200. It all depends on you and your intended guest list! Outdoor Entertaining In Any Season? Are We Crazy?! For those living in warmer climates, pretty much every season is available to you for your outdoor entertaining (lucky!). If you live in a cooler, wetter climate like we do, you might need to wait until the warmer months. Or, you could get really creative and brave the outdoors! We enjoy our backyard every season by bundling up and using umbrellas over our fire pit in the rain or snow, or other areas around our yard. If we can do it in the PNW rain, so can you! 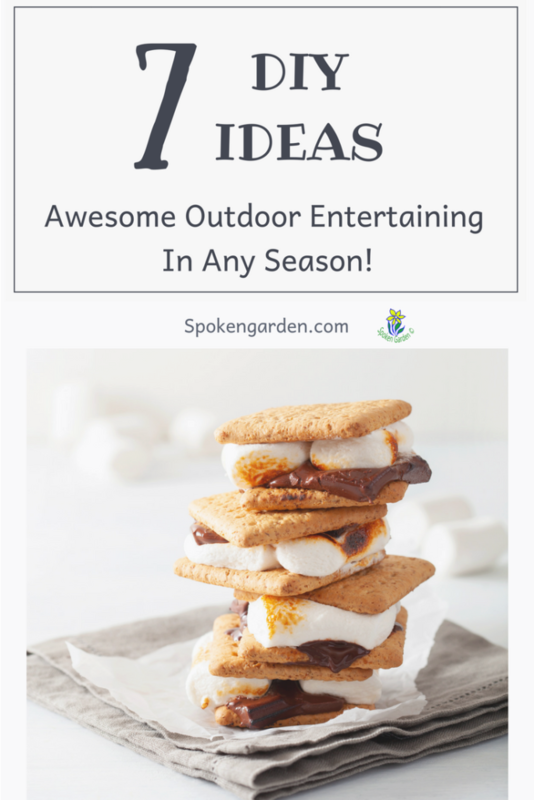 Either way, by the end of this post, you will learn about 7 DIY ideas you can use to create the perfect outdoor entertaining spaces for any time of year! We LOVE our firepit and use it almost every night, even in the rain like we said above (true PNW residents through and through)! 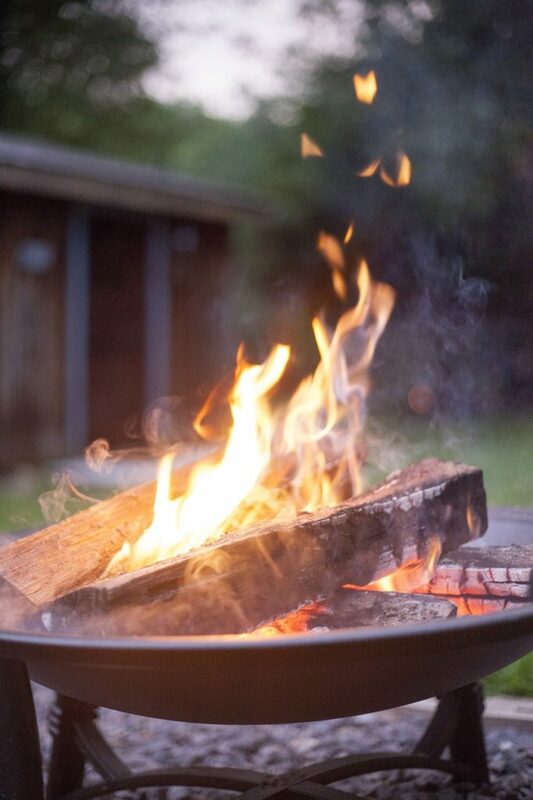 Whether buying a pre-made kit or building your own from scratch, creating your own firepit is a cinch! Find an open area in your yard that's large enough for at least 2 or more chairs and the firepit itself. The firepit size is completely up to you! Firepits can be made of metal, rock, concrete, or other materials. They come in different sizes along with different fuel sources such as wood, propane, or natural gas. We built our firepit out of concrete retaining-wall blocks (4"x11.75"x6.75") and chose propane since we could plumb it in ourselves (you know how we love our DIY projects!!). Also, propane was safe to handle. Since we already owned the bowl we decided to just build the blocks around it. Next, we needed to plumb it. We thought we knew what we needed but ended up making a huge mistake that cost us an extra $200! After countless hours researching and building our firepit (including a LOT of trial and error), we pieced each part together to plumb our firepit. What we should have done was buy a plumbing kit that included everything. We should have initially bought this plumbing kit instead of just piecing everything together. It would have been so much easier and cheaper. This kit that includes each of these items (except it comes with a circle burner instead of the "H" shape) is only $152!!! What?! 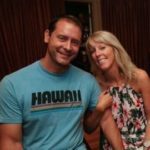 We originally overspent by $200! This kit is so worth the price for everything you get! Again, here is the plumbing kit we wish we had bought first. We are very happy with all the products we bought and like we said, we REALLY wish we had just bought the kit first! The last step is to make memories, relax and stargaze with your amazing, new fire pit!! You won't be disappointed. If you plan on entertaining any guests or family in your yard, seating areas that encourage and foster ease of conversation are a must! You want your guests to feel comfortable, right? 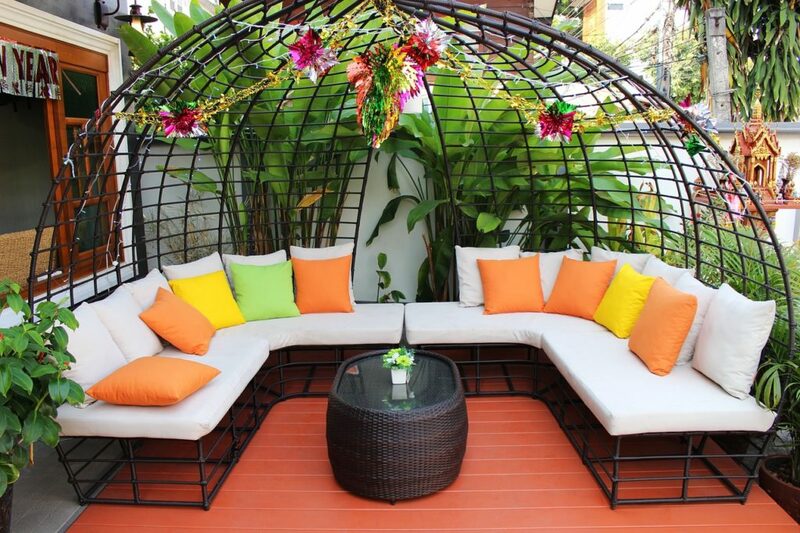 You can do this by creating an oasis of warmth using different seating styles, textures, and colors! Add benches, chairs, stools, or large, oversized pillows to create that sense of comfort. Check your local garden nurseries, home and garden shows, flea markets, or even yard sales for great furniture pieces that add style to your yard. Provide tables as needed, plants to add texture, and don't forget to face your seating area toward your favorite garden areas to enjoy the view! Lighting options: lights, candles, etc. One of our favorite outdoor activities is to dine on our deck in the evening. Can you think of a better way to relax and take it all in? Just add a string of globe lights, a table, chairs, a couple glasses of wine, if you're fancy, a tablecloth, then voila! Your own outdoor cafe straight from the sidewalks of Paris! Outdoor entertaining at its best. Plus, you can design an outdoor eating area just about anywhere in your yard. It is entirely your choice. Keep in mind available lighting options, the sun's path throughout the day, and the space you have available. For a great "outdoor cafe" feel, try stringing globe lights around the perimeter of your outdoor eating area. We surrounded our deck with lights for perfect, outdoor entertainment. Another great DIY project that took less than 1 day to design and construct (depending on how long it takes the spray paint to dry). Using 10' stainless steel pipe, 2" sections of PVC pipe and metal hooks that were all spray painted a shade of bronze, we secured the three PVC pipe sections in the ground and then slid the metal pipe with the hooks into the PVC pipe. Next, we hung the lights around the perimeter on the hooks. Easy, fast, and cheap! Sidenote: be sure to have an electrical extension cord handy in case your lights are far from a wall socket. 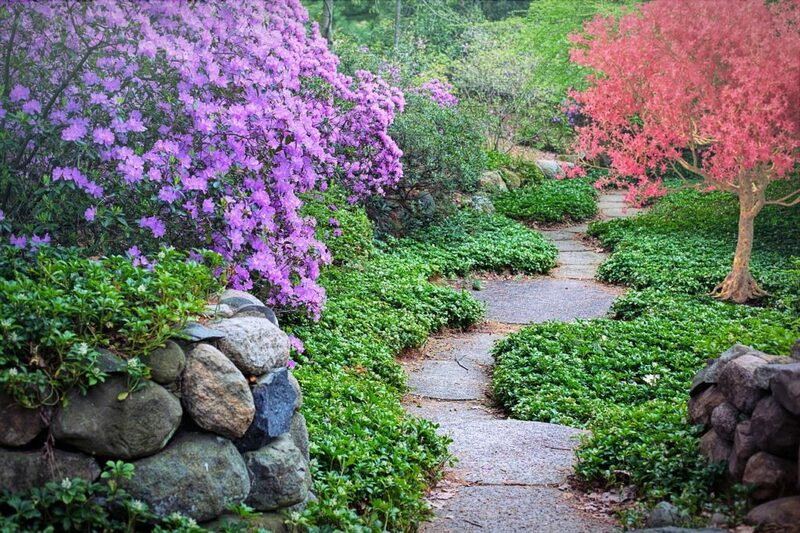 Do you admire pictures of beautiful pathways that meander through gardens with colorful flowers and trees along the way? While this may not seem like a typical outdoor entertaining area, you can easily create your own pathway in any size yard with just a few materials. Then, invite friends over for dinner in your new outdoor dining area and lead guests on a walk through your garden pathways! Pathways can be wide or narrow, long or short, and even have different elevation levels. Use your imagination. We have several pathways around our yard that visually lead the eye to certain focal points of interest. Along the path are various plants, grasses, and other perennials to add color and texture. By adding decorative touches, such as interesting stepping stones or various shapes, our pathways become a conversation piece. Are you feeling a sudden urge to go shopping?? We want to help you save money on your late-summer flower purchases!! We found this great coupon from Nature Hills Nursery that will help you save $5 off your order when you spend $50 or more. Hey, every little bit helps, right? 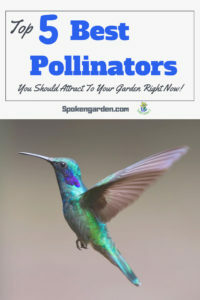 Their website is organized REALLY well, which we appreciate, and you can search by garden category. And, obviously, they deliver to your door. Anytime is a good time to order more plants, right? Now back to our path creation, depending on the layout, length, or shape of your design, the perfect garden path can inspire, focus, reenergize and encourage your guests. Try using concrete or stone blocks, gravel, river rock, pebbles, sand, wood chunks or chips, or even recycled plastic to fill your pathways. 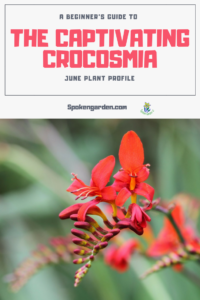 Various plant material using our coupon above! An herb garden engages the senses, including touch, smell, sight, and maybe taste. A true sensory experience! Get creative and host a DIY herb harvesting party where guests learn to bottle dried herbs or make oils. 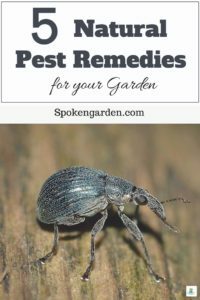 Most herbs are hardy and tough, so they are easier to grow than other plants. Lavender, Sage, Mint, Thyme, and Rosemary all come to mind. We LOVE our herb garden and can often be found smelling the leaves, tasting the flowers, and otherwise touching the different textures of the herbs. The scents are instantly soothing and calming. 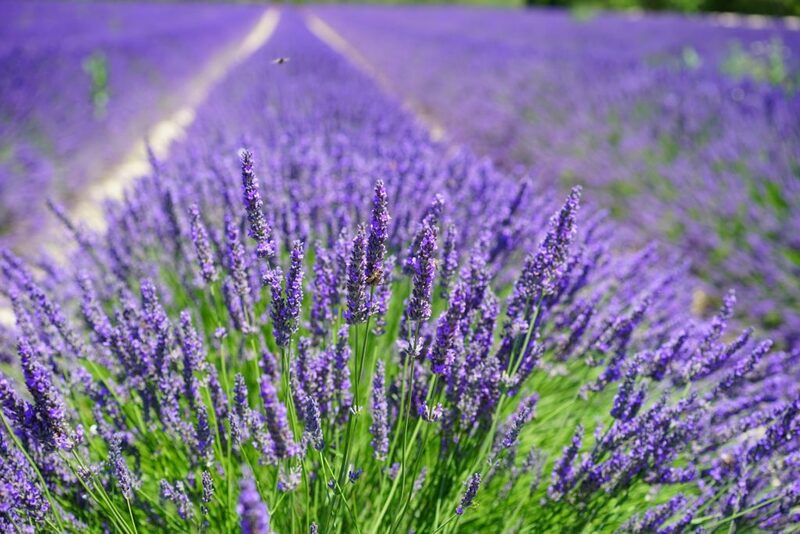 If you have lavender, rosemary, thyme, mint, and other aromatic plants, you can invite guests over to teach them about the medicinal uses or various cooking options. Guests could then help harvest the herbs. You could even make it a competition or offer prizes! Make sure when planting your herbs to keep the shorter plants in front of the larger ones so they don't get shaded out. 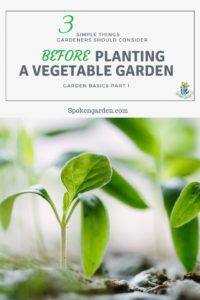 Also be sure to properly space them so they grow healthy. You can group these and other plants to make different textures and color combinations, too! What could be better than close family and friends enjoying the outdoors while also watching a favorite movie? 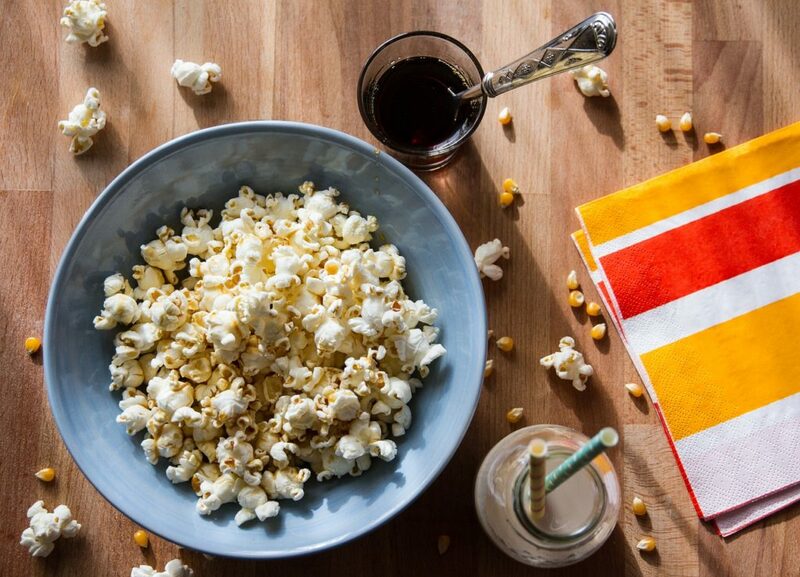 Host an outdoor movie night and let the good times roll! There are ways to go "all out" on your movie event by setting up movie decorations, popcorn stations or fun "pre-show" games. For this version, consider investing in your own white screen for viewing, a nice portable projector, and speakers. If you want to save cost on your event, try using a large, white sheet (or even a white wall) and search on Amazon for a cheaper portable projector (there are a few for around $100). An even cheaper option would be to borrow supplies from your friends. Tell your favorite stories as you guide your guests around your yard. Show off the various art, statues, topiaries, water features, or other conversational pieces throughout your yard. Don't forget a nice glass of wine for your stroll! 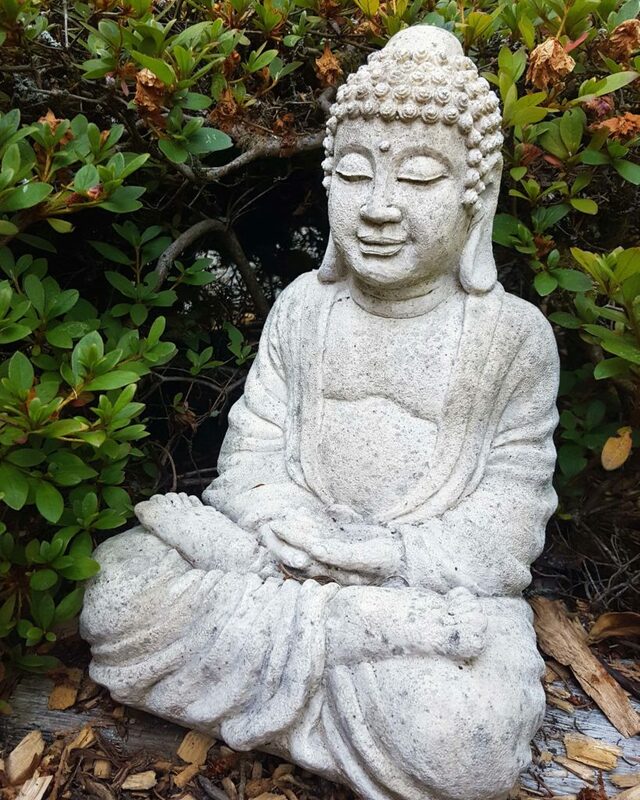 Any art, be it statues, ornaments, wind-chimes, colorful birdhouses, decorated arbors, directional signs, or even overhead entrance titles, can bring a whole new perspective and feel to your garden. Make sure to strategically stage them on corners of paths, edges of decks or patios, hanging down to be in the line-of-sight, or brightly placed in the walkways so they catch the attention of you and your guests. 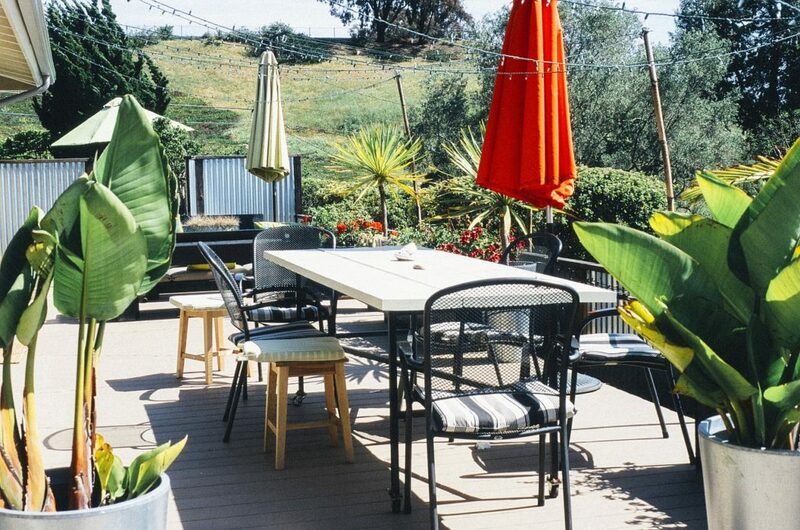 Which of these outdoor entertaining ideas would you like to try? Thanks for reading and we hope we inspired you or educated you in some way. For information about designing your garden, listen to our podcasts. Make sure to watch for our upcoming post where we will discuss how best to pet-proof your yard in one weekend! You pet lovers out there cannot miss this one!! Loved this article especially point about 7 DIY Ideas For Awesome Outdoor Entertaining In Any Season! Great! Thanks for letting us know and we appreciate the share!